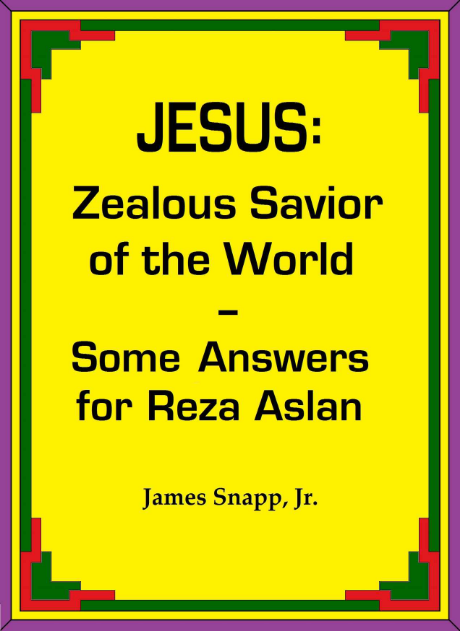 Are you looking for a Christmas present for someone who rejects, or is unsure about, Mark 16:9-20 and John 7:53-8:11? 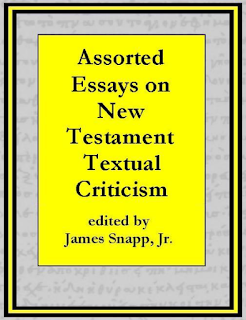 Do you know a preacher, seminary professor, student, or apologist who would enjoy spending a winter evening delving into detailed research involving manuscripts, patristic testimony, and internal evidence pertaining to the two most significant textual variants in the New Testament? If so, this Christmas may be the perfect time to provide your friends with resources to help them become thoroughly informed about these two passages. 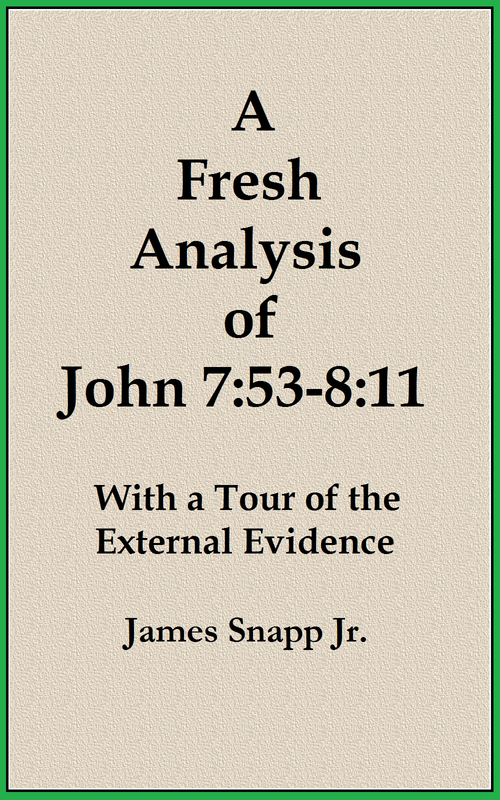 A Fresh Analysis of John 7:53-8:11: With a Tour of the External Evidence is on sale now at Amazon – available as a Kindle e-book – for 99 cents. 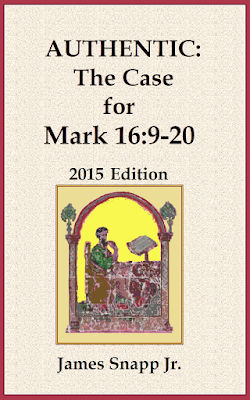 The 2015 edition of Authentic: The Case for Mark 16:9-20 is also on sale for 99 cents. Previews of both books can be read at the Amazon website. In A Fresh Analysis of John 7:53-8:11, I advocate the theory that in the early church, a specific passage was selected to be read annually on Pentecost, consisting of John 7:39-52, with John 8:12 attached to give the passage a positive concluding flourish, and the intervening verses (7:53-8:11) were skipped because they were considered thematically alien to the celebration of the coming of the Holy Spirit to the church. 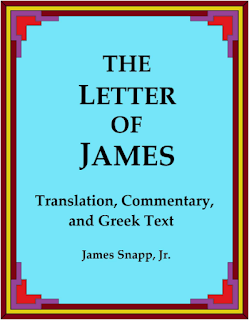 As a result, in a very early copy that was used in church-services by a lector (Scripture-reader), marks or notes were put in the margin, instructing the lector to skip from the end of John 7:52 to the beginning of John 8:12. This manuscript was then used by a copyist who was unfamiliar with the annual use of the text at Pentecost, and he interpreted the marks to mean that he, the copyist, should skip from the end of 7:52 to the beginning of 8:12, and that is exactly what he did, and thus the passage was lost in an influential transmission-line. 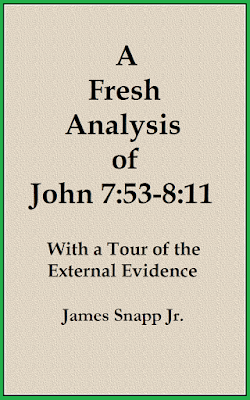 A substantial appendix at the end of A Fresh Analysis of John 7:53-8:11 describes major and minor witnesses for, and against, the passage. 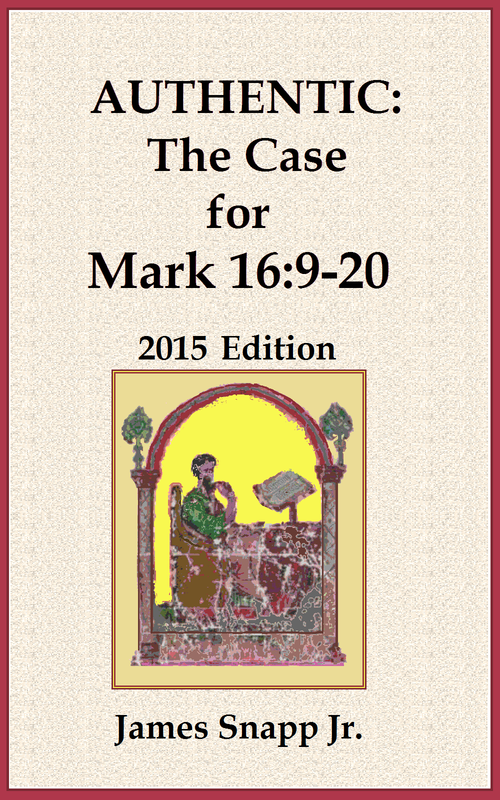 In Authentic: The Case for Mark 16:9-20, I advocate the theory that Mark was interrupted as he was writing Mark 16:8, and his colleagues finished the otherwise unfinished narrative by attaching a brief summary about Jesus’ post-resurrection appearances that Mark had already written. Only after the narrative was thus completed did people begin to make copies of the Gospel of Mark for church-use. Thus, Mark 16:9-20 should be regarded as inspired, authoritative, canonical Scripture, just as the last two chapters of Proverbs are regarded as inspired, authoritative, canonical Scripture even though they were not added by the main author of Proverbs. Along the way I demonstrate that many claims that have been spread by commentators and various other writers (including some Bible-footnote-writers) about this passage and the evidence pertaining to it are incorrect. (10) The 1897 Oxford Debate on N.T. 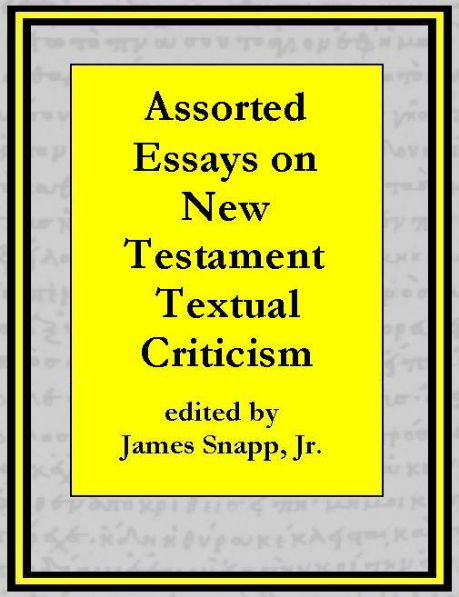 Textual Criticism, in American English. 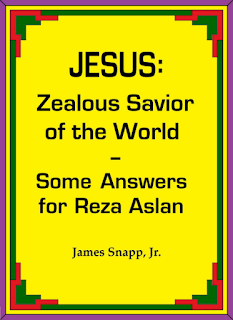 My response to Reza Aslan’s book Zealot is also available as an e-book, for $1.50 – Jesus: Zealous Savior of the World.